Power electronics plays an important role in daily life. The wide variety of electrical devices that we now take for granted, such as computers, mobile phones and portable multimedia, use power electronics, but its influence is hardly noticed. 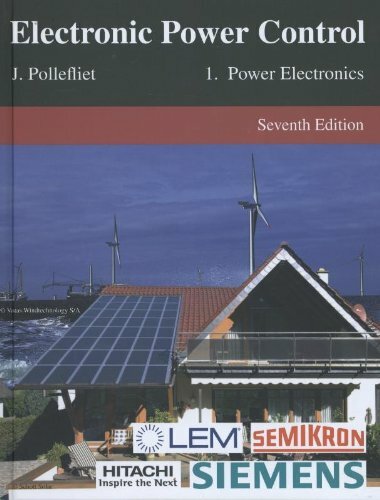 Electronic Power Control is an excellent base for explaining the principles and applications of power electronics, but also gives particular attention to new technologies. This work has been extended with recent applications of power electronics such as high frequency inductive heating, improving the power factor (PFC), lighting, wind turbines, and much more. It also fully explains electronic engine control and electrical positioning systems and electrical machinery. JEAN POLLEFLIET was a university teacher for many years and is a best-selling author in Flanders and the Netherlands.